Manitou Galleries is pleased to announce their annual Auction in Santa Fe taking place on August 8th and 9th, 2016. This year they present nearly 700 lots of the best selection of Western and Native American art and collectibles up for auction to the highest bidder. Included in this auction is fine art from past and present masters, and historical Native American and Cowboy artifacts. 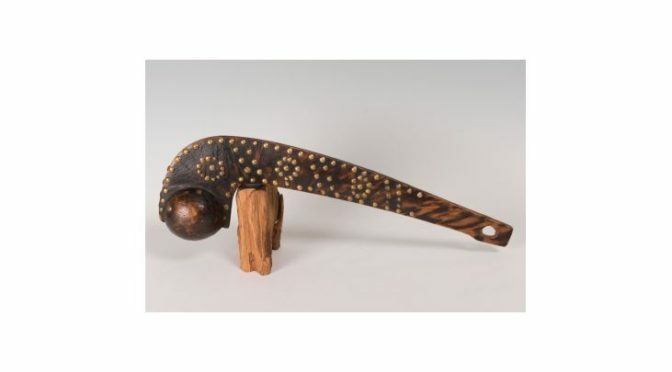 Manitou Galleries holds this auction every August in beautiful Santa Fe, New Mexico. They are one of the foremost galleries in the West with locations in Santa Fe, New Mexico and Cheyenne, Wyoming. Bob and Charla Nelson have built an outstanding reputation through their galleries and auctions, and have been established for over three decades. Manitou Galleries serves not only a strong local audience, but a significant network of national and international collectors and artists. An antique Navajo Coin Silver Mounted Bridle is one of the most valuable pieces available in the first day of the auction. At Lot 23, this has an estimated value of between $5000 and $9000. It is 30 inches long, with a fancy Mexican ring bit. The bridle is outstanding and all original including the leather and reins. It is complete with a rare hand-wrought iron big with copper dangles and it is hung with spectacular coin silver drop, which is featuring rows of horned toads and crosses. This is from the early 1900’s and is from the collection of the late Bob Ward. Late in the August 8th session is an incredible bronze from Allan Houser (1914 – 1994). It is of a Plains Indian and is 19 x 9 x 8 inches inscribed by Alan Houser. The bronze opens at an incredible price of $500 and is expected to sell for several thousand dollars when the auctioneer’s hammer drops. A beautiful oil on canvas from Leon Gaspard (1882 – 1964) highlights the second day at Lot 566. This depicts a Russian peasant girl and is 15 inches by 10 inches. It is signed on the lover left, and the verso is signed and titled on the stretcher bar. This beautiful artwork will be in high demand for this auction with bidding opening at $1500. Estimated value is between $15000 and $2000. Both auction dates, Monday August 8th and Tuesday August 9th begin at 1PM Mountain time. Full online on all devices will be available and full photos and descriptions are in the online catalog. Registrations are open to all interested collectors, and absentee bids or live bids are welcome throughout the sale. This is sure to be one of the best Auctions in Santa Fe in history and Manitou Galleries has put an incredible effort into preparing this catalog.